Vermicelli is a type of pasta. It is made of semolina and is thin, long and looks like spaghetti. 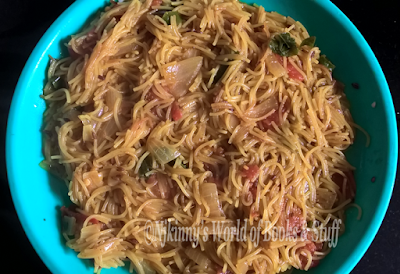 Also known as Semiya, Seviyan, Semya and Semolina noodles in India; it can be used to prepare both sweet and salty recipes. Today, I'll share with you the recipe of my version of the Vermicelli Upma. A popular breakfast recipe in India, it is filling, little oil is required to prepare it and it also gives us energy. Now, in my version, I have used minimal spices, any available vegetables and condiments. I believe in working with whatever is available and this recipe requires very little ingredients and is fusion friendly! 2 cups of Vermicelli (Semolina noodles). 1 medium size onion cut in either square or long slices according to choice. 1 medium size tomato cut in either square or long slices according to choice. 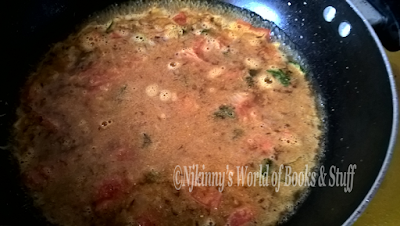 1) Heat oil/ghee/butter in a thick base pan and add cumin seeds to it. 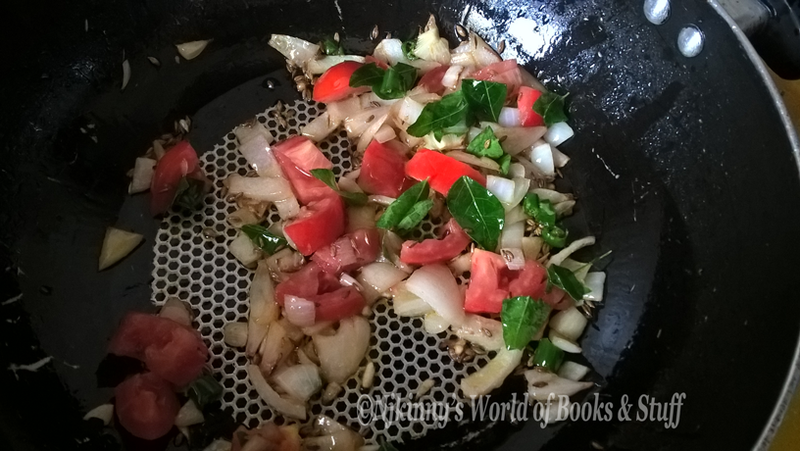 2) When the seeds start crackling, add the curry leaves and stir for a few seconds. 3) Add diced onions and green chili and cook until the onions turn translucent. 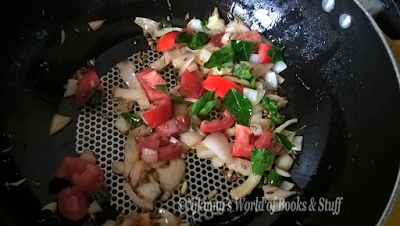 4) Add diced tomatoes and cook for a few minutes. Tip: If you like your vegetables to be well cooked then cook till they are soft. If you like them only slightly cooked then just stir a minute and proceed to the next step. 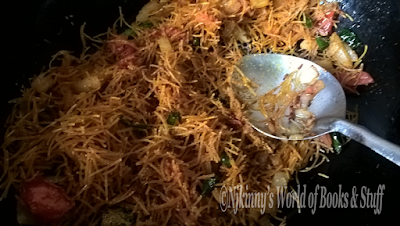 5) Add the Vermicelli and fry till it gets a little reddish colour and becomes translucent. 6) Sprinkle the spices and stir. 7) Add water and bring to a boil. 8) Lower the flame to medium and cover it with a lid to cook for 5-7 minutes. 9) Once the water is dried. The Vermicelli will become thicker and softer. Once this is achieved, the Vermicelli Upma is cooked and ready to be served. 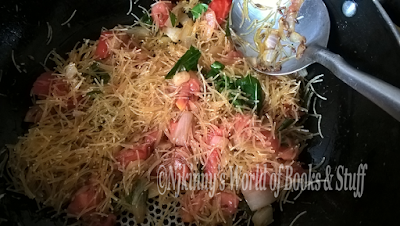 -You can also add fried peanuts, Chana daal ( small split chickpeas), Moong daal ( split beans ), cashew nuts to your Vermicelli Upma. 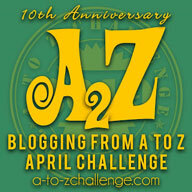 -Any vegetables like carrots, french beans, peas etc. can be added. This recipe is light on the stomach, healthy with all natural ingredients and low oil usage and also very tasty. Once you eat it, I guarantee that you will come back for more! It is our Desi noodles and very easy to make. Serve with Green or Red Chutney or even solo and get applauded! Go try this recipe out in your kitchen today and do let me know how it turned out! I love hearing from you so do share your thoughts with me in the comments.